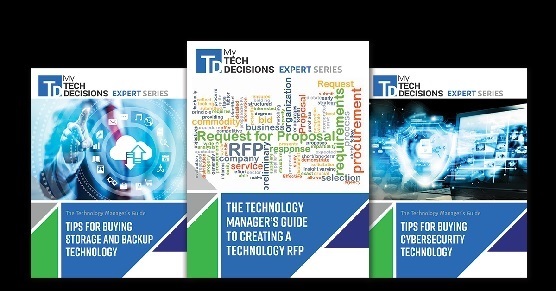 In this episode of My TechDecisions Podcast, host and TD Managing Editor Jonathan Blackwood speaks with Zohar Pinhasi, CEO of MonsterCloud, about cybersecurity considerations ranging from preparation, to technology, to training, and more. Zohar Pinhasi is an ethical hacker, cyber counter-cyberterrorism expert, ransomware recovery expert, and a former IT security intelligence officer for the Israeli military and current CEO of MonsterCloud, is a leader in opening the Cloud Computing and VOIP solutions for the SMB Market. Zohar has over 25 years of experience with cybersecurity and enterprise IT platforms. A leader in the fast-moving technology industry trend of cloud services, Zohar has spent the past 8 years evangelizing for small- and medium-sized businesses to shift to the cloud. A calculated risk-taker with deep tech industry knowledge, he continues to champion cloud services to his enterprise and consumer customers. The bulk of the interview revolves around that notion. Zohar discusses the dangers of weak cybersecurity for organizations, particularly SMBs that are often understaffed or underprepared for cyberattacks. Zohar discusses some of the typical mistakes that organization make, leading to a weak cybersecurity infrastructure that opens these companies up to threat actors. He gives real examples from his years of service in the cybersecurity industry, and gives warnings to listeners about why these mistakes are so dangerous to the organization. Zohar also gives tips on how to bolster cybersecurity portfolio. He discusses the benefits of hiring a cybersecurity services provider with a strong track record and proactive approach. He also talks about how beneficial employee training can be, and how stale or repeated training can be a detriment to the overall goal of cybersecurity. Finally, Zohar discusses the fallout of a cyberattack – what to look for, how to react, and more. He explains how much more damaging a hack is when a company doesn’t have a response plan in place. He also explains how imperative it is to stay up-to-date, as hacking practices change on a daily basis. Anyone interested in strengthening their cybersecurity portfolio should listen to this interview, as Zohar provides invaluable advice and examples from an incredible career in the industry.